India is turning into one big garbage dump. The problem is assuming gigantic proportions and the numbers are staggering. Here’s a 5 step guide on how you can reduce the waste. Believe it or now, currently, most of the urban cities in India are turning into huge garbage dumps. 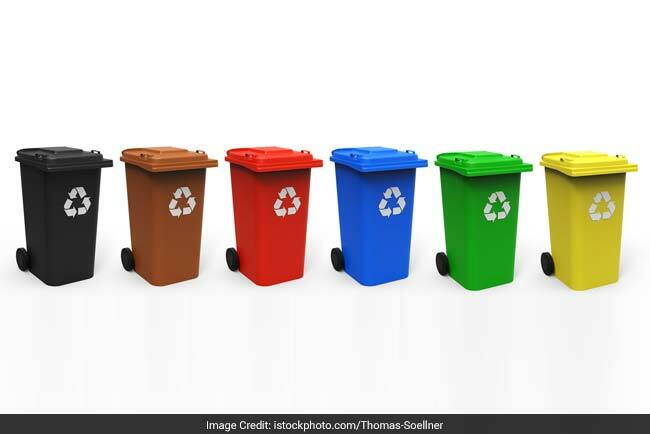 India generates around 62 million tonnes of garbage annually out of which 45 million tonnes of garbage remain untreated that is a whopping 75%. Just the metros alone, like Delhi, Mumbai, Chennai, Hyderabad, Bengaluru and Kolkata generate about 10 million tonnes of garbage every day. There is no extra space in the landfills of these cities to accommodate fresh garbage. These alarming statistics alone should be enough for everyone to understand that we have a serious garbage problem to deal with. As a conscious citizen, we should start taking action to reduce our waste generation and do our bit for nature. The question to address is, “How do I reduce the garbage I generate?” While it may seem impractical, if not impossible, here’s a 5 step guide on how you can reduce the waste generated at home and put it to some use. 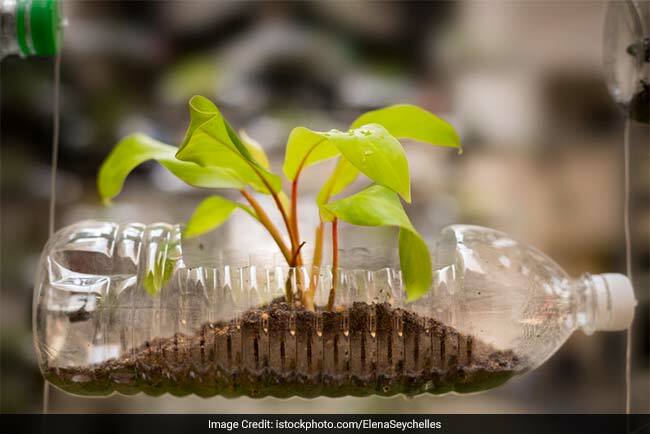 A plastic bottle can take up to 1000 years to biodegrade. Plastic is the bigger threat than nuclear weapons as earth cannot digest plastics and it can be fatal. 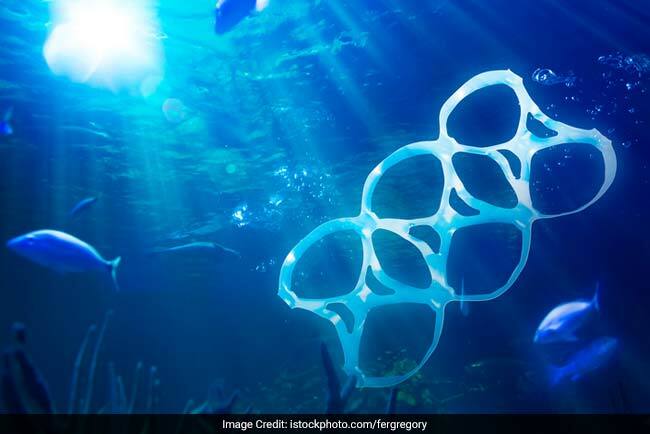 1 million of birds, and 100,000 whales, sharks, seals, dolphins and turtles die every single year because of plastic pollution. Plastics take around 500 to 1000 years to degrade due to the presence of complex polymers and it can destroy marine life completely. Moreover, if the plastic is buried deep in landfills then it can leach harmful chemicals that can further spread into groundwater. The plastic trash in landfills can release poisonous greenhouse gasses as it keeps on lying there for thousands of years, thereby harming the atmosphere. What you can ditch easily: Next time you go for a tea break, ask your tea vendor to serve your tea in a paper cup or instead take your own cup with you. The plastic cups available at these small shops are extremely harmful as these are made of cheap chemicals. Ditch plastic straws, instead sip your drink. Say no to plastic pens and yes to vintage ink pens. Coming to plastic bags, did you know the production of the plastic bag is very energy intensive? To produce around nine plastic bags, energy used is equal to driving a car for one kilometer. Worse, usage of plastic bags contributes to global climate change. When you start segregating your waste, you are reducing the waste that gets transferred to landfills and indirectly cause water, air and land pollution. Segregation of waste makes a different process like composting, recycling and incineration easy. These processes are further used to treat different kinds of waste. Now, start segregating your waste into two categories – Bio-Degradable and Non-Bio-Degradable. Bio-Degradable waste will include all the organic waste, for example, kitchen waste, vegetables, fruits, flowers, leaves from the garden. Whereas Non-Bio-Degradable waste will include Recyclable Waste like plastics, paper, glass, metal; Toxic Waste will include things like old medicines, paints, chemicals, bulbs, spray cans, fertilizer and pesticide containers, batteries; Solid Waste would consist of baby diapers and sanitary napkins. You should aim to separate waste daily into different dustbins. 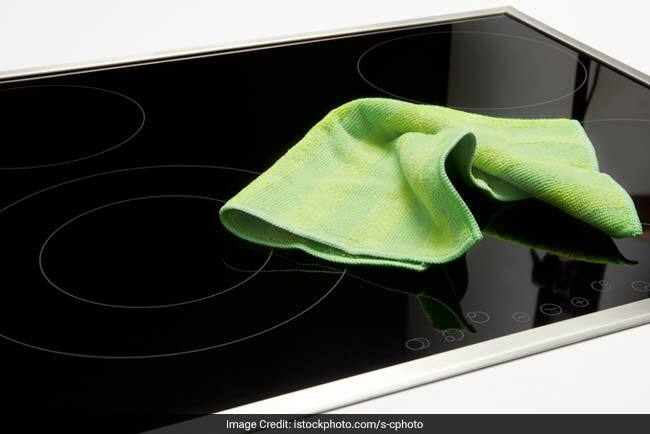 Aim to put wet wastes like leftover foods, vegetables, peels etc. in an organic dustbin which can later be used for composting. Why is it necessary? If we do not dispose of the waste now in a systematic manner then that day is not far when we will run out of land space to dump our garbage. 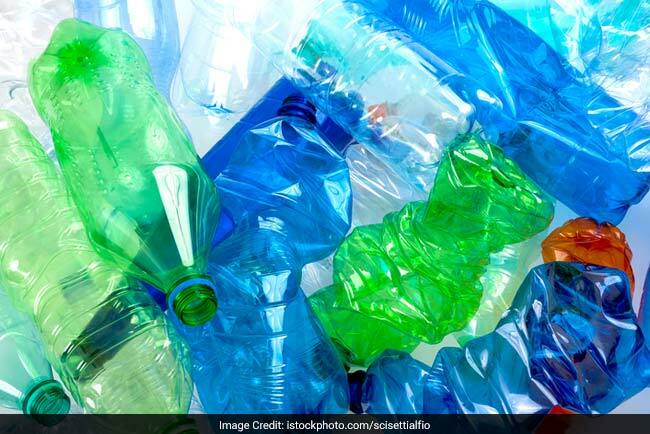 Research shows, if we continue to dispose of waste like the way we have been then we will need more than 1400 square km That’s almost equal to the size of a city like Delhi! 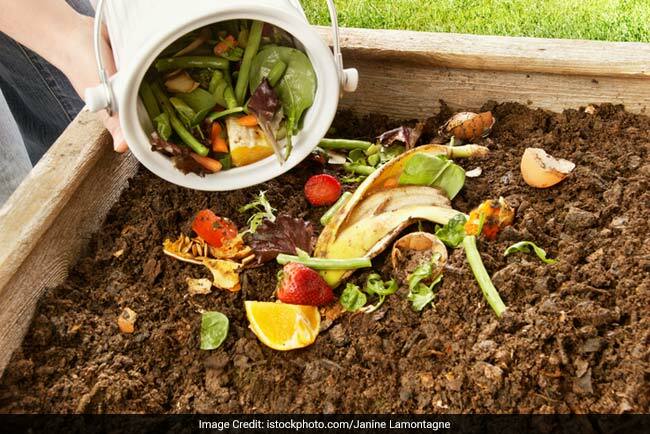 Composting is a way to decompose organic material, such as edible kitchen waste (vegetable peels, fruit peels, and small amounts of wasted cooked food), leaves, grass clippings, and any other form of dry kitchen waste. How does composting help? Firstly, composting can drastically reduce the burden of waste from our planet. A family of 4 can easily reduce their waste from 1000 Kg to less than 100 kg every year if they adopt segregation and composting. Secondly, it also provides many essential nutrients for plant growth and therefore is often used as fertilizer. 3. Now take an earthen pot or simply a bucket and drill 4 to 5 holes around the container. Remember to add the holes at different levels so as air can be easily passed. 5. Once you have made the container, start adding food waste. The waste should be added in layers alternating wet waste (food scraps, vegetable, and fruit peels) with dry waste (sawdust, dried leaves). Once done, cover the container with a plastic sheet or a plank of wood, to retain the moisture and heat. Note: Follow this simple rule of thumb – use one-third green and two-thirds brown materials. During summers when the pile is moist and has a good ratio of carbon to nitrogen then a three-month decomposition is possible. But if for any reasons that’s not the case then it may take up to a year. Discarded paper accounts for about 35 percent of the waste that ends up going to the landfills. Dicth them! The production and use of paper have an enormous number of adverse effects on the environment. Discarded paper is one of the major components in many landfill sites and accounts for about 35 percent of the waste in these sites. Paper napkins have also limited shelf life and eventually end up in trash cans which further choke the landfills. The main aim is to bring down your household consumption of non-bio-degradable items. So, for the sake of the environment, start using old clothes like rags for cleaning around the house, instead of paper towels. You can easily swap paper napkins with hand towels in your kitchen too. Reuse is a step up from recycling. Re-purposing your household trash in any manner is a good way to reduce the already loaded garbage dump. Did you know, there are approximately 100 million plastic bottles that are used and discarded every single day? What can you do? Instead of just throwing them after their use, start reusing them all over again. Make yourself a DIY plastic showpiece, or simply use it as a storage box for your accessories. You will be surprised at how many opportunities for reuse there really are, once you actually start looking for options. Next Post: A Group Of Citizens In Bengaluru Are Saving Trees.